Vihara Avalokitesvara has a magnificent facility, listed on the Indonesian Record Museum. 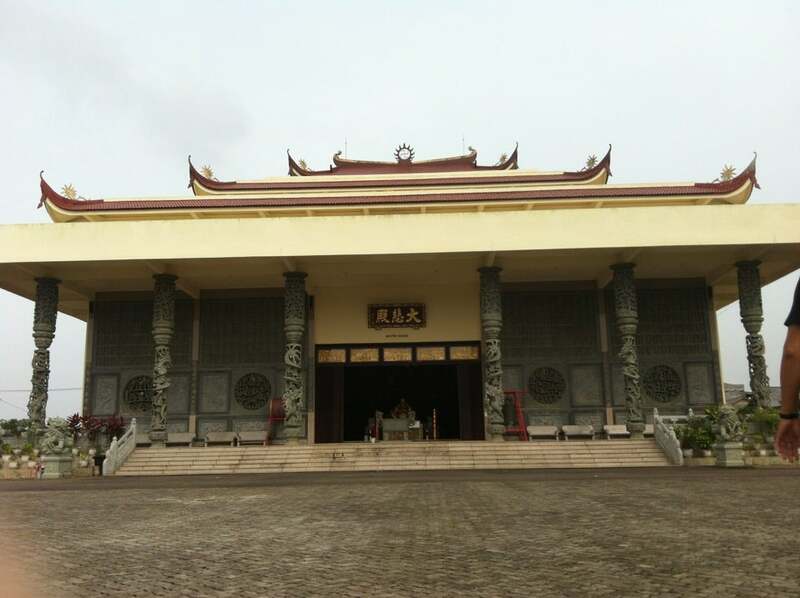 Vihara Tanjungpinang is the largest Buddhist temple in Southeast Asia with an area of 10 hectares of land. Why Avalokitesvara Graha Temple (Guan Yin Temple) is special ? Vihara Avalokitesvara has a magnificent facility, listed on the Indonesian Record Museum (MURI). 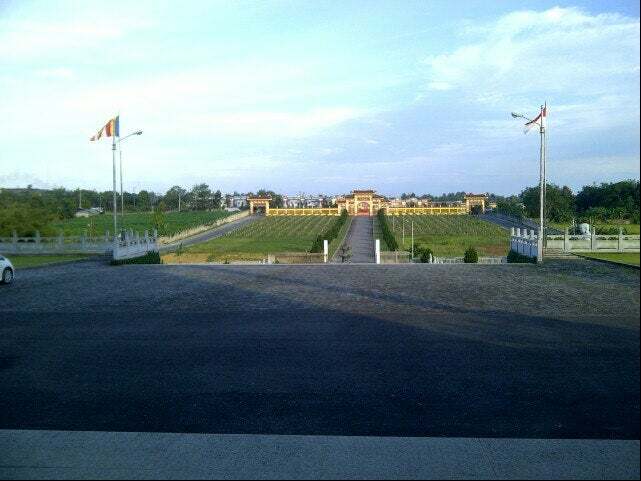 Vihara Tanjungpinang is the largest Buddhist temple in Southeast Asia with an area of 10 hectares of land. The biggest building become landmark shows Dharmasala Shrine as the main building. A statue of Goddess Kuan Im (the figure is in sitting position with height of 16.8-meter) is placed inside the shrine, is claimed to be the biggest in Asia & become the symbol name of Avalokitesvara. The statue is made of brass coated with 22 carat gold. The gate of the monastery is located right on the edge of the highway. While the main building Shrine (Main Dharmasala) is about 500 meters inside. Monastery's main building shows the typical building style of ancient Chinese kingdom. 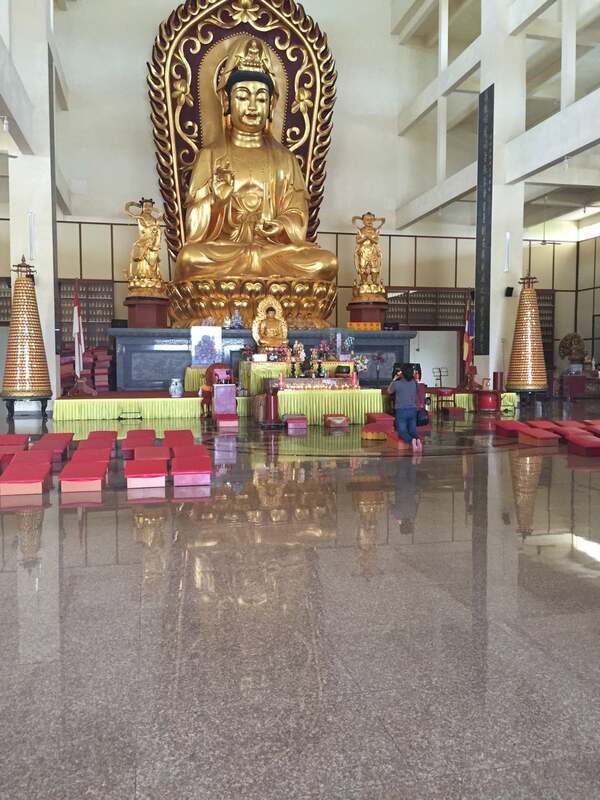 What to explore at Avalokitesvara Graha Temple (Guan Yin Temple)? 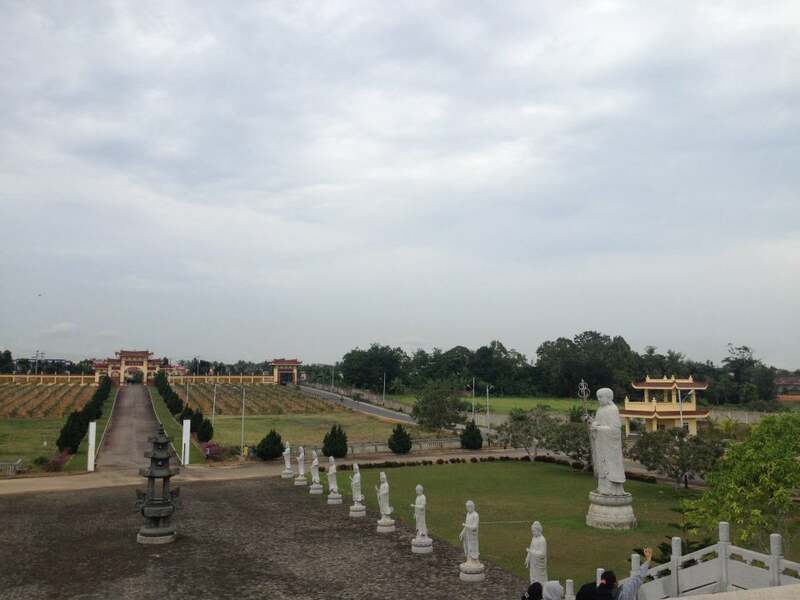 The temple sits amidst sprawling grounds and on a hilltop with large dragon fruit plantation in the front. You will find the biggest Buddha's statue in Southeast Asia. A statue of Dewi Kuan Im (the figure is in sitting position with height of 16.8-meter) is placed inside the shrine. The statue is made of brass coated with 22 carat gold. The gate of the monastery is located right on the edge of the highway. From gate entrance there are some Buddha statues and a pond on the right side garden. At temple the golden statue smiling Buddha make everybody feel good. At the back of him is a four facing Buddha. The centre is a lady Buddha, Guanyin. The walls inside this temple are decorated with lots of Chinese Buddha Statues. Visitors who come here are finding the peace and tranquility away from the hustle of city. The silence in the atmosphere makes this place a nice escape for your trip to Bintan. 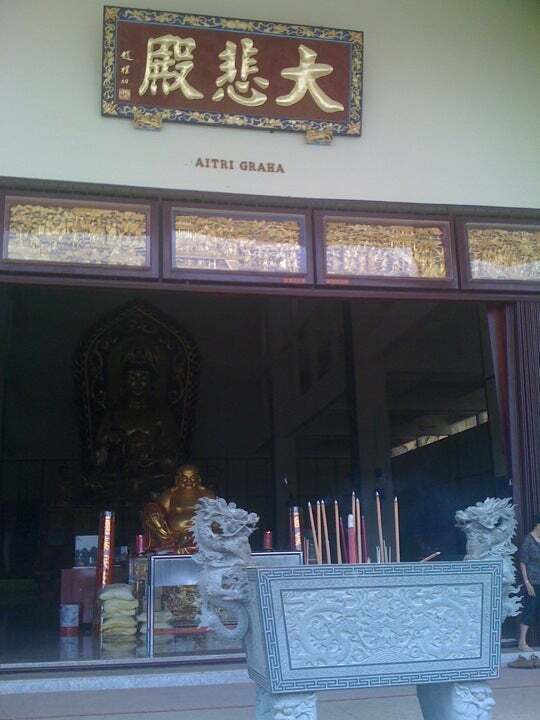 How to get to Avalokitesvara Graha Temple (Guan Yin Temple)? There's no public bus on Bintan Island. The best way to visit Avalokitesvara Graha Temple (Guan Yin Temple) is by taxi. 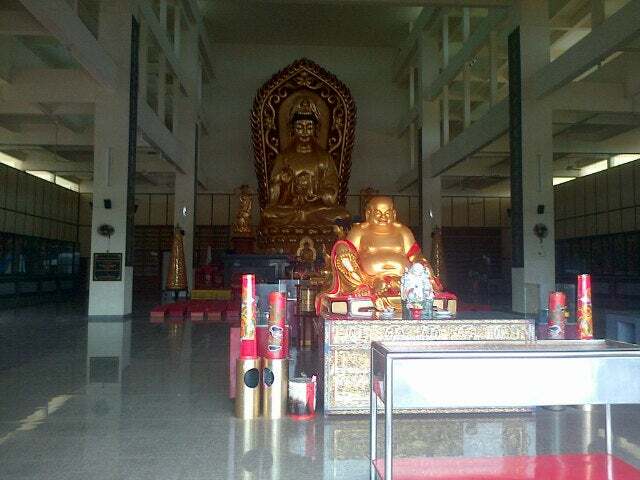 You can also contact with local tour agents to join in a tour to Avalokitesvara Graha Temple. The place is quite far from Tanjung Pinang town. You need to take taxi or hotel tour to reach the place. It will be better that you ask Service personnel about how to pray, and there's a nun who's very nice but she only speak Chinese. You can find many stories about Buddha which are carved on the walls of this temple. There's an area to drop coins onto the heads of turtles. Locals believe it brings you luck if you do that. We found this temple whilst out on ride on our little hire bike, set in extensive grounds it really does look impressive. The temple is very ornate with some beautiful carvings, not only as stand a lines, but as part of the structure such as the pillars. I think this temple is only just beginning and I would not be surprised to see it grow much a larger as the years go on. A little way out of the city but on the main road, worth avisit .